Under both state and federal law, employers have a responsibility to maintain a reasonably safe work environment for their employees. 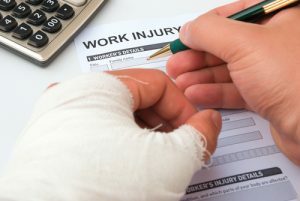 If workers get injured while performing their job duties and can prove their injuries were a result of employer negligence, they could seek workers’ compensation benefits or, in certain cases, file a personal injury claim. Providing a workplace that’s free from serious safety hazards and complies with all the standards, regulations and rules as listed under the OSH Act. Examining conditions of workplaces to help them conform to all OSHA standards. Using certain labels, posters, color codes and signs to warn employees of any potential hazards one could reasonably expect. Providing medical examinations and on-the-job training whenever required by OSHA standards. Establishing and updating operating procedures on a regular basis and communicating those procedures so that all employees understand and follow the company’s safety and health requirements. Posting an OSHA poster (or a state equivalent) in a prominent spot in the workplace to inform all employees of their rights and responsibilities related to job safety. Keeping records of any work-related illnesses or injuries that arise, unless the company is in a low-hazard industry and has fewer than 10 employees. Ensuring all employees both have and use safe equipment and tools, and that all this equipment is properly maintained to ensure its long-term safety. Not discriminating against any employees and/or whistleblowers who exercise their rights as listed in the OSH Act. Providing current and former employees and their representatives with access to the log of work-related injuries and illnesses (OSHA Form 300). Covered employers must post the summary of the OSHA log of illnesses and injuries (OSHA Form 300A) on February 1 of each year. Posting OSHA citations either at or close to the work area involved in the citation. All citations must remain in place until corrections have been made or until three working days have elapsed, whichever is longer. Correcting cited OSHA violations by the deadline listed in the citation and submitting any required abatement verification paperwork. Providing access to all employee medical records and exposure records to employees or their authorized representatives when they ask for them. Reporting all work-related deaths to the nearest OSHA office within eight hours and all work-related amputations, inpatient hospitalizations and losses of an eye within 24 hours. For more information on OSHA standards and to learn more about your rights if you’ve been injured on the job, consult a skilled New York labor law attorney with Cilenti & Cooper, PLLC.